All Florida professional engineer licensees actively participating in the design of engineering works or systems in connection with buildings, structures, or facilities and systems covered by the Florida Building Code, as identified within Section 553.73(1)(a), F.S., shall: (a) Complete at least one advanced Florida Building Code course within 12 months of each edition of the Florida Building Code effective date, (b) Provide the Board with a copy of a certificate of completion which shows: course number, course hours, Code edition year, and Code or course focus. This course also counts towards the area of practice requirement for continuing education for Florida Professional Engineers. The effective date for the for the 6th edition of the Florida Building Code is December 31, 2017, therefore you must complete an Advanced Florida Building course by December 31, 2018. Our Florida Building Commission approved course number is 835.0. 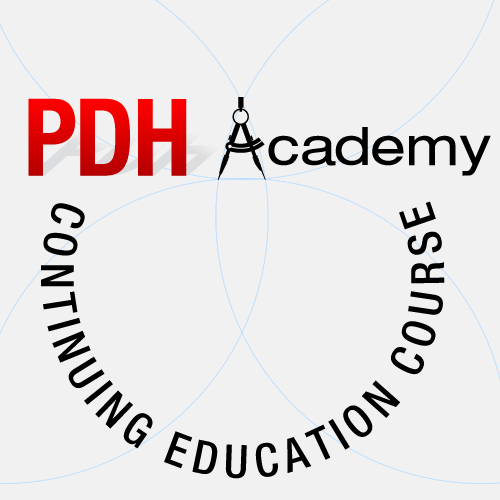 PDH Academy’s 2 CE hour Florida Building Code 6th Edition: Advanced Course discusses many highlights and changes from the previous Florida Building Code 5th Edition. It is important to note that the Florida Building Code 5th Edition was based off of the 2012 International Building Code while the Florida Building Code 6th Edition is based off of the 2015 International Building Code.